3. 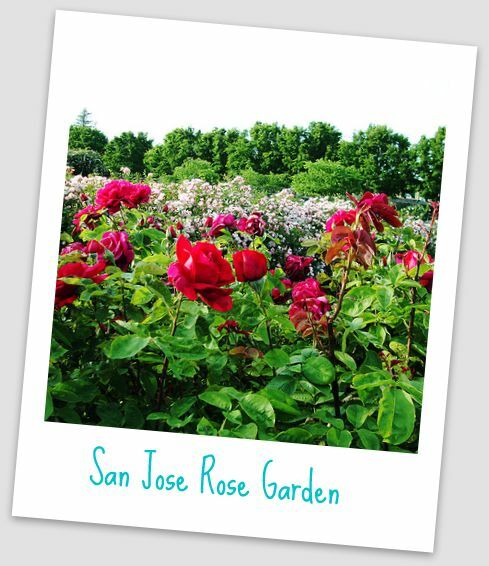 San Jose Municipal Rose Garden- With over 4,000 rose shrub’s covering 5 ½ acres, this is a great place to get lost amongst the flowers. The best part, there is no entrance fee and this is the only rose garden in California to be an official Display Garden for the All-America Rose Selections (Intersection of Naglee Ave and Dana Ave, San Jose CA). 4. Strike Bowling – Featuring glow in the dark bowling, big screens and a full service restaurant and bar, Strike is the ultimate infusion of classic arcade and geek tech chic’. Located blocks from Apple’s corporate headquarters, this is the perfect place to bowl a game, drink a mojito and eavesdrop on techies discussing Apple’s next big thing (10123 Wolfe Road, Cupertino CA). 5. 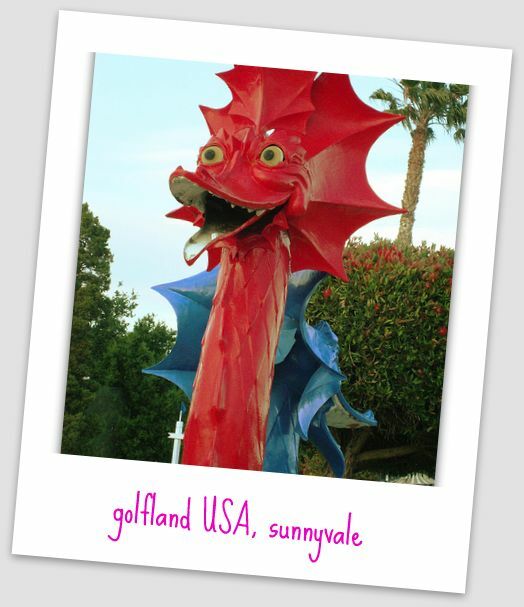 Golfland Sunnyvale – This is the perfect place to recapture the kid at heart and embrace cheesy nostalgia to the fullest. With 18 holes of miniature golf, that include a giant red dragon and a castle reminiscent of the White Castle burger joint this is the perfect place to let loose (855 East El Camino, Sunnyvale CA). 6. Trials Pub – Located in downtown San Jose, Trials Pub has a full pub menu and an array of games such as darts, scrabble and connect four. For jeopardy fanatics, the best time to go is on Monday nights for their famous pub quiz. With questions ranging from sports trivia to popular culture, this is the best quiz to test your wits against Silicon Valley’s smartest (265 N 1s St, San Jose CA). 7. Japanese Friendship Garden- Located in Kelly Park, the Japanese Friendship Garden is patterned after Japan’s famous Korakuen Garden in Okayama. With several ponds stocked with koi, and each pond connected by a stream, it is almost impossible to not get lost in its beautiful simplicity (Kelly Park, San Jose CA). 8. 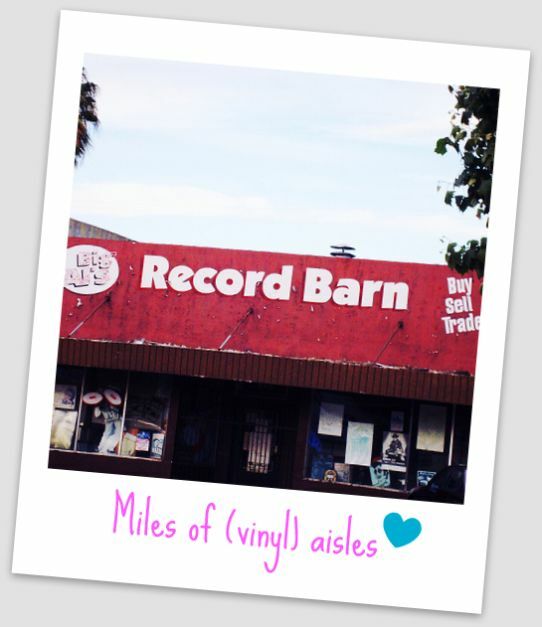 Big Al’s Record Barn- The Record Barn lives true to its name, it is a store full of records that is about as clean as barn. But for the passionate record collector, who is willing to roll up their sleeves and go digging, you can find some very rare hard to find (not even at San Francisco’s Amoeba) records at a decent price. The biggest challenge with the Record Barn, besides its cleanliness, is finding a time when it is Open. This best thing to do before heading over is to give the store a call, but if it is open it is definitely worth checking out (522 South Bascom Ave, San Jose CA). 9. Retro Dome – Located near San Jose’s Westgate Mall, The Retro Dome is a performing arts center that features classic movies in its movie theater, comedy shows on its stage and hosts various art centered events (1694 Saratoga Avenue San Jose, CA). 10. King Eggroll – You’ve never had an eggroll until you’ve tried King Eggroll. A local secret, King Eggroll’s are flavorful and delicious. With a line that usually extends out the door, these eggrolls are worth the wait. The biggest challenge is trying to eat just one (980 Lundy Avenue, San Jose). This entry was posted on June 11, 2010 at 9:20 am and is filed under Joie de Vivre Hotels, Road Trippin' California, Silicon Valley. You can follow any responses to this entry through the RSS 2.0 feed. You can leave a response, or trackback from your own site. I love the Trials Pub! And after visiting Silicon Valley, a good glass of wine in Napa Valley!! When I visit the Silicon Valley, I love going to Great America. I like staying at the Wild Palms Hotel becuase the scenery is beautiful and with a big pool and nice hot tub it’s a great place to relax. Another great spot for tranquil koi viewing and getting away from it all is the Hakone Garden in Saratoga. You can even experience an authentic Tea Ceremony at this Japanese garden! This area put NORTHERN California on the International map with the first computers. I love the indie bookstores in the valley, both new and used. Books Inc has been a favorite of mine for years, and both Recycle Books and Bookbuyers have acres of shelves just waiting for you to discover some new treasure. Another Santana Row fan! Love the shopping!!! Great list! Love finding new adventures in Silicon Valley. Still tops for me and my kids, however, is the Tech Museum. Almaden quicksilver county park is beautiful. Great hikes, peaceful, amazing views and some history as well. Los Gatos is also great for independent stores and just wandering around too. How cool, love this list! love the Valley.. spent time at the rose garden… check out the museums.. I love the new Avatar Hotel! Perfect destination for going to Great America, shopping at the Mercado down the street, and close to lots of dining options, especially my favorite Japanese restaurant Shin’s on Blossom Hill Road. It is in the heart of the Silicon Valley which I love! Easy access to the freeway means I can visit my family in San Jose and SF really easy and have chances for some fun in the sun! love this list! can’t wait to explore these finds! 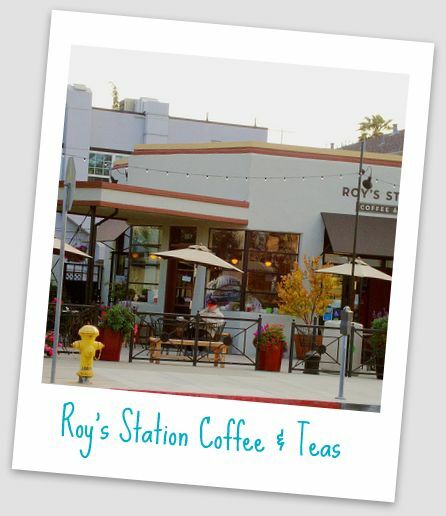 I love Roy’s Station and Coffee House. Very retro, great coffee and lattes. Made with a little love… Found it after having a Japanese dinner and walking through Japantown. Better J-Town than SF… Very nice area. Great Japanese restaurants, tough choices. The Indian Store http://www.theindianstore.com in Santa Cruz is always on my must-visit list when I’m in Los Gatos. Each trip there gives me something to dream about: native art, jewelry, and clothing. I could spend hours there! Bogart’s Lounge and Tech Pub in Sunnyvale – great little neighborhood bar with free wi-fi and owners who will do everything to make you feel welcome. Limited but tasty food served, with BBQs on Wednesday night during the summer. They also carry Buzztime trivia and have karaoke on Friday and Sunday nights. I would have to say Apple Headquarters to get some Apple branded tshirts and hats!! I know it’s pathetic, but my favorite place in the Valley is The Old Spaghetti Factory in San Jose! I love the pseudo-opulence of the velvet chairs, I love the old trolley car in the middle of the dining room, and the pasta with browned butter and mithriza cheese is just awesome. Santana Row has the best shopping ever! Very component content material. I located your blog plus accession investment to say i always get into actuality liked consideration your current web site threads. By any means I am opt-in within your supplement or simply My spouse and i success you get the ways to access continually rapid.